What is the connection between a Red-Whiskered Bulbul and Blueberries? 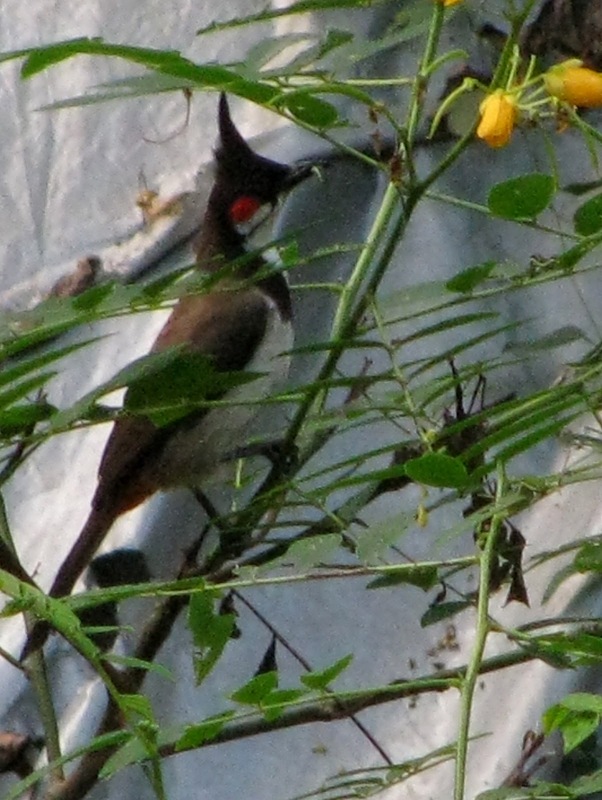 According to a research correspondence published in the Current Science Journal, Red-Whiskered Bulbul, among other fruit eating birds, is instrumental in dispersing the seeds of the fruit bearing tree Syzygium cumini, often called as Indian Blueberry or Jambul. 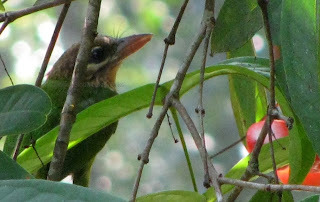 Studying the feeding behavior of fruit eating birds on S. cumini tree in the forest patches of Western Ghats, researchers have found Red-Whiskered Bulbul (Pycnonotus jocosus), White-Cheeked Barbet (Megalaima viridis), Crimson-Backed Sunbird/ Small Sunbird (Nectarinia minima), Blossom-Headed Parakeet (Psittacula roseate) and Oriental White-Eye (Zosterops palpebrosus) frequently visiting the tree during a fruiting season. They have also recorded the occasional presence of other six species of birds. Though the Red-Whiskered Bulbul spent lesser time than other four fruit eating birds on each visit to the tree, it made significantly more visits than other species, says the correspondence. By making standard statistical measurements, the researchers have found that Red-Whiskered Bulbul consumes significantly more number of fruits than the other fruit eating birds visiting the tree. Closely following the feeding behavior of these bird species on the tree for 10 hours a day with the help of binoculars, the research team has made interesting findings during the study period. According o them, Red-Whiskered Bulbul and White-Cheeked Barbet swallows the Blueberry fruits while Blossom-Headed Parakeet eat only the pulp of the fruit by rolling it in the mouth before spitting the seed under the tree. 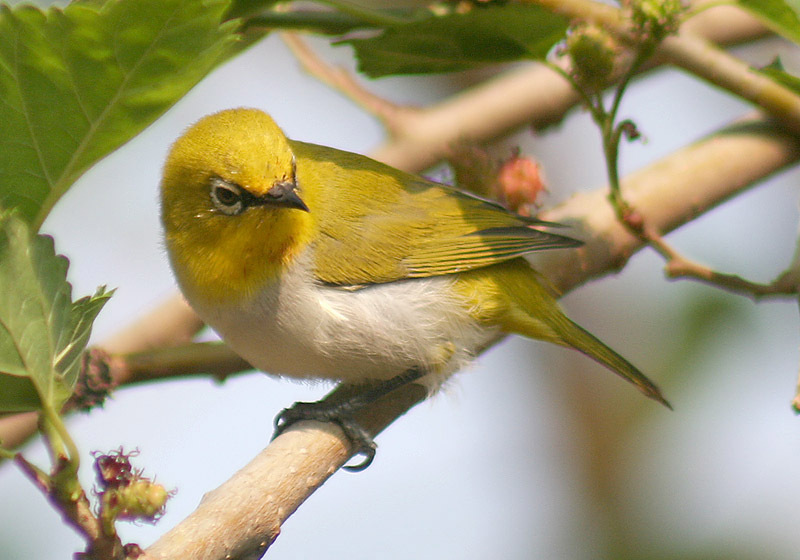 Similarly, Oriental White-Eye and Crimson-Backed Sunbird have a taste to peck up only the pulp of the fruit and leave the seed under the tree. The researchers have also found that Red-Whiskered Bulbul usually flies back to its nest while White-Cheeked Barbet flies to a nearby tree within a 20 meter distance, immediately after every visit to the fruit tree. What makes Bulbul the best? From the study it can be understood that there are many factors which increase the importance of Red Whiskered bulbul as a major seed disperser for Indian Blueberry. The fruiting season of the Blueberry coincides with the breeding period of the Red Whiskered Bulbul (the researchers observed that the bird often taking a fruit for the nestlings in the nest). The bird didn’t defecate or spit the seed under the mother tree like the other birds observed during the study. It gives more chances of the seeds to get deposited in other places. Red Whiskered bulbul nests were found on shrubs with Blueberry saplings around, which again shows that the saplings have more chances to grow up. Red Whiskered bulbul is a common bird in forest patches and cultivated land near forest fringes often undisturbed by human interference. Earlier studies have shown that sloth bear and common Indian mongoose disperse the seeds of the tree. However, there were very less scientific studies carried out on the role played by the birds in the seed dispersal of Indian Blueberry. 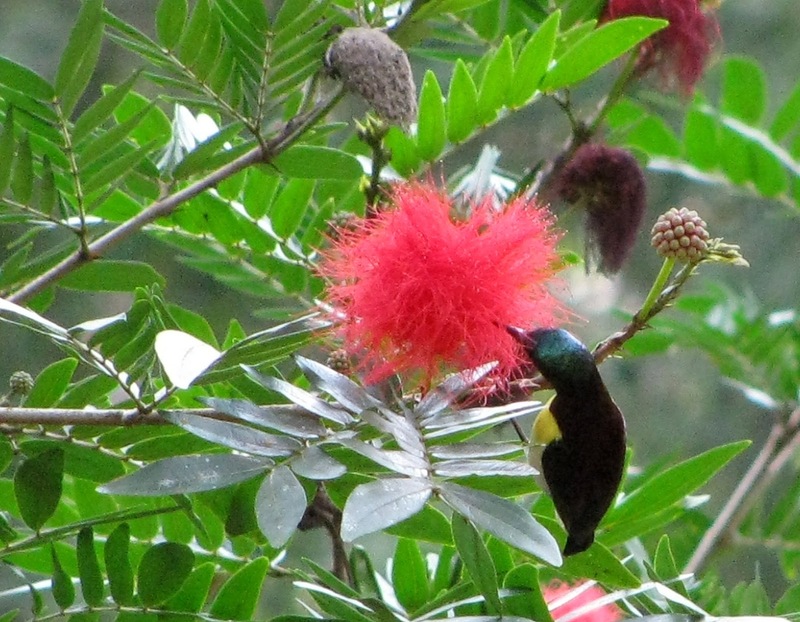 According to the study, the large number of fruits produced per inflorescence and the pulpy nature of the fruits attracts more birds, which in turn makes them a major seed dispersing agents of the tree. The study was conducted by researchers at the Central University of Kerala and ATREE in the Sopinabetta forests in Western Ghats situated at Sringeri in Chikamagalur district of Karnataka during 2007 to 2008.